When it comes to impact resistance, not all asphalt shingles are equal. In fact, the difference in performance varies greatly from product to product. Reputable roofers, including Elite Roofing Solutions, consider Underwriters Laboratory (UL) 2218 Class 4 as the ultimate test revealing which ones deliver superior hail damage defense. It involves dropping a steel ball that is 2 inches in diameter from 20 feet up. It simulates the kinetic energy a hailstone of the same size would have in a thunderstorm. According to the Insurance Institute for Business and Home Safety’s multi-faceted hail research program, modified, impact-resistant (IR) asphalt shingles demonstrate the best performance. Unlike most of their standard counterparts, modified IR ones pass the test by showing no visible tears or cracks on the surface or back. While some of their granules were dislodged, the impact of high-velocity wasn’t hard enough to crush them. In turn, residential roofs covered with modified asphalt products, like GAF’s Timberline® ArmorShield™ II Shingles, are more likely to prevent leaks. Actually, they may even qualify you for insurance premium discounts. It’s worth mentioning that installing ordinary shingles (modified or not) at the ridge is ill-advised. The location puts at greater risk of damage from hail impact, usually resulting in leakage. To ensure consistent protection, it’s imperative to use modified IR ridge cap shingles. Moreover, modified IR asphalt shingles are not immune to blistering, which is triggered by hail impact. Blisters are a result of trapped moisture during the manufacturing process or having an overly hot attic. When hailstones hit asphalt shingles hard enough, they can pop and dislodge the protective granules. To keep your long-term roof repair expenses to a minimum, get a powerful warranty to get extra coverage on manufacturing defects and workmanship errors. Raise your home’s defense against hail with Elite Roofing Solutions. 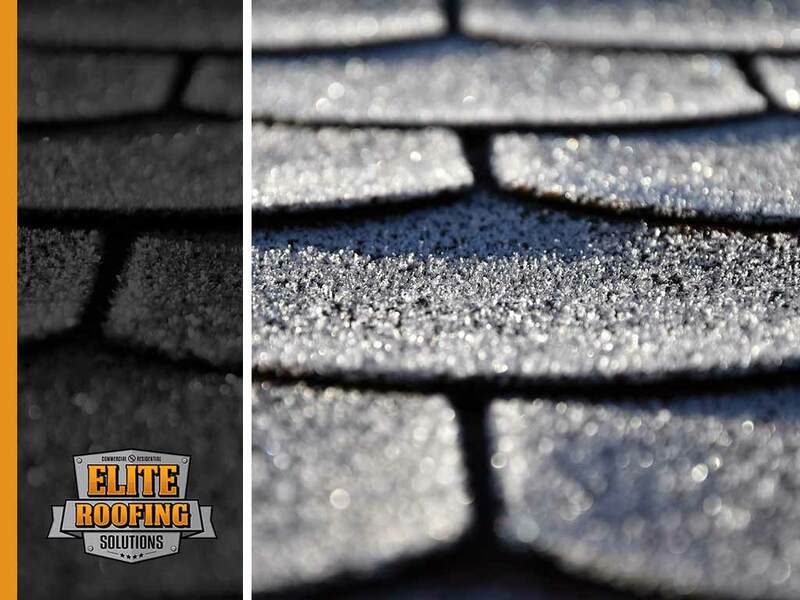 As a Master Elite® roofer, we offer styrene-butadiene-styrene-modified (SBS) IR architectural shingles to preserve your roof’s beauty and structural integrity whatever Nature throws at it. Also, we give you exclusive access to GAF’s Golden Pledge® Limited Warranty for maximum protection. Call us at (855) 588-6610 now to get a FREE estimate in Spring, TX, or any neighboring area.